Combine rice, 2 tbs butter, half fo the salt and half of the pepper and mix well. Press into deep pie plate to form shell and set aside. Melt 2 tbs. butter, stir flour and cook until bubbly. Gradually stir in milk until thickened and smooth. Season with remaining salt and pepper. Stir in chicken, tomatoes, celery and green pepper. Pour into rice shell. 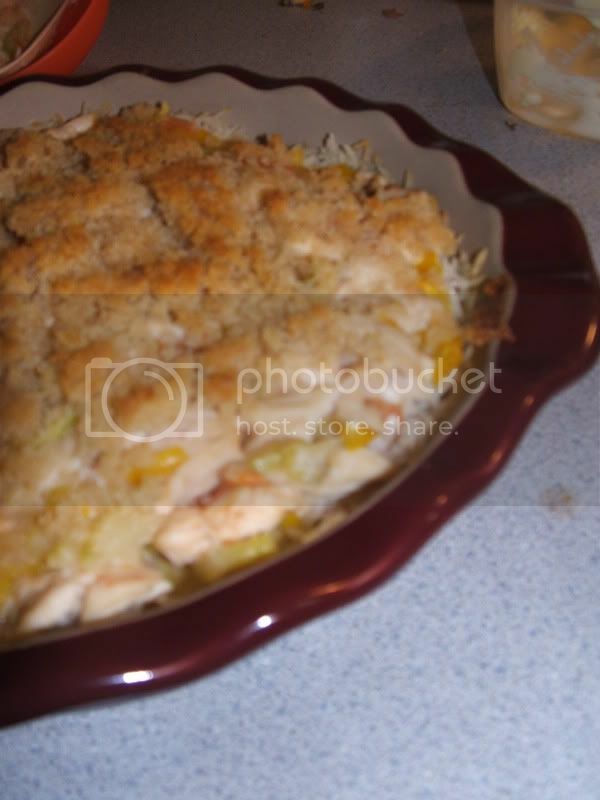 Mix bread crumbs with remaining melted butter and sprinkle over pie. Bake at 350 F for 25 minutes or until golden brown. Serves 6. That is seriously MY kind of meal!! I have to try this sometime!